Six young people spoke to a gathering of parents, friends and teachers at the Lions Regional Effective Speaking Contest on Sunday, February 19. 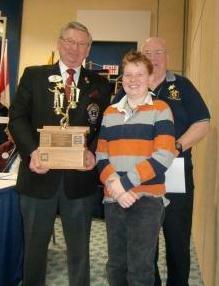 The Chatham Lions Club hosted the event at the Active Lifestyle Centre in Chatham. 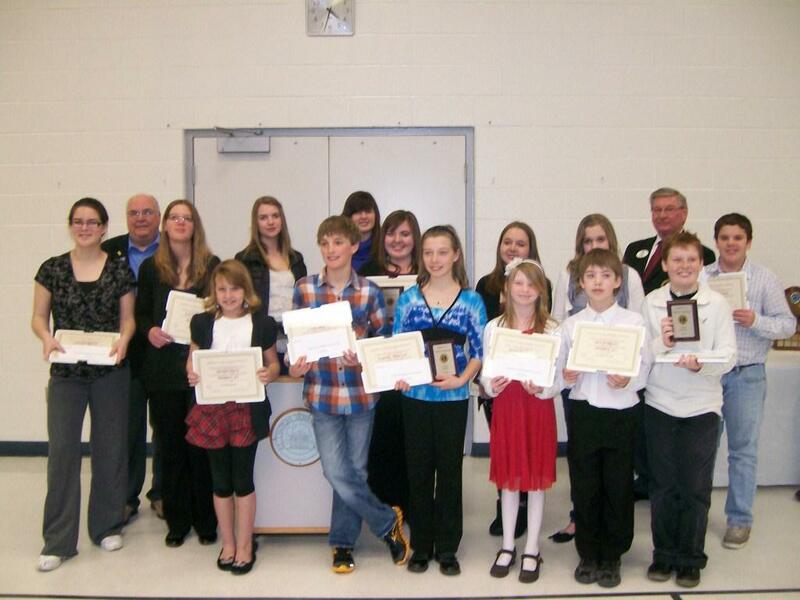 The contestants are students at Tecumseh Public School and Winston Church Public School in the Junior English category. 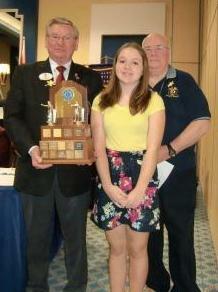 The winners will proceed to a District speak-off in St. Thomas and the winners of the district contest will enter the Lions Multiple District contest at their convention in May. The contestants on Sunday were Paige Bonner-Grainger, Justin Grainger, Liessell Innes, Yadell Innes, Kayla Norton, Josh Wenner. 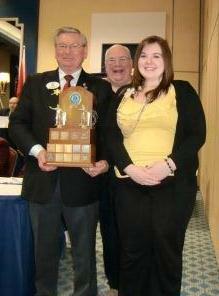 The winners were Justin Grainger and Liessell Innes. Justin Grainger spoke on �Oil� and Liessell Innes spoke on �My Dad�. All the contestants received cash prizes and certificates of participation presented by the Chatham Lions Club Effective Speaking chair Bob Book and the District A1 Lions Club chair Ron Lindsay. Judges were Jane Butterman, Ada Wright, and Ellen Smit. Int. E Karissa Manning A-2. MDA Effective Speaking winners and families. - Junior French 3rd Place winner. 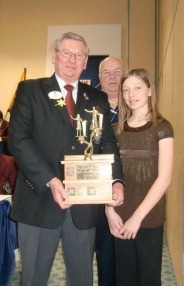 At the District Speak-off on March 27, 2011, 14 contestants presented their speeches. 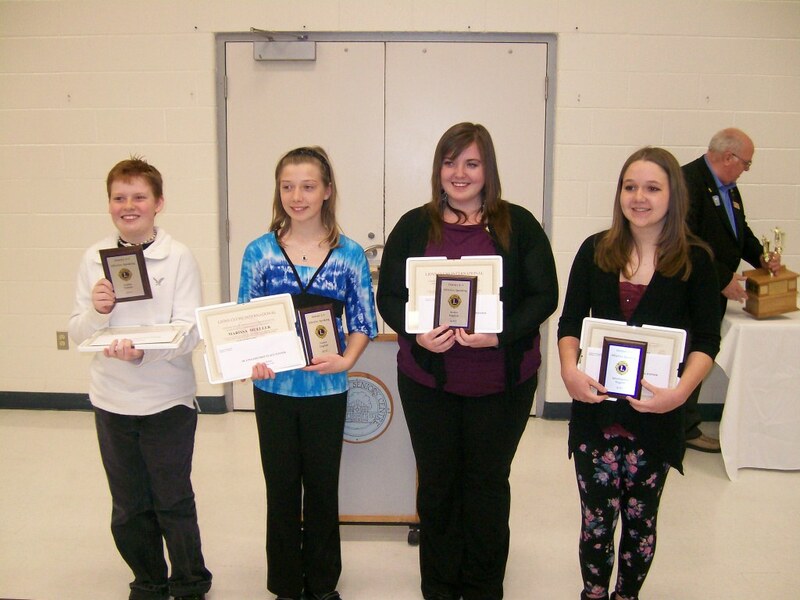 The following contestants were the winners in each category. Refer to the following links for posters and the Manual (Regulations and guidelines for conducting the contests). Select your preference of program (PDF, Word or WordPerfect) for printing posters. You may insert local information on the Word/WordPerfect files.